Update - Crayon Rocks now available locally! Update – Crayon Rocks now available locally! We’ve been waiting for these for a while and now they’re finally here in Australia! 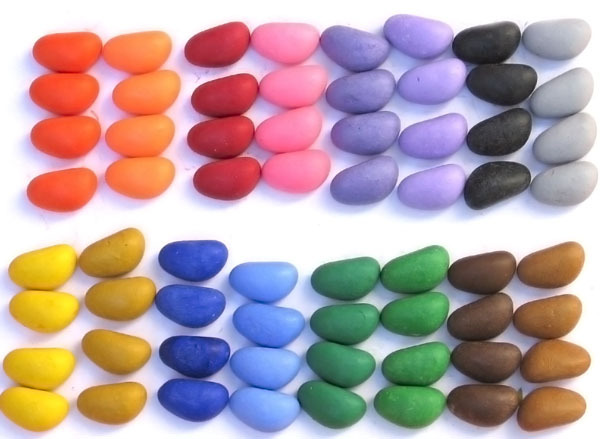 These wonderful Crayon Rocks, which we’ve featured before, have arrived at Third Drawer Down and are ready to ship to you from Victoria instead of from abroad! They have long captivated us with their gorgeous colours and unconventional yet natural shape, which encourages tiny hands to employ the tripod grip necessary for later writing. Crayon Rocks are $15 plus shipping from Third Drawer Down.